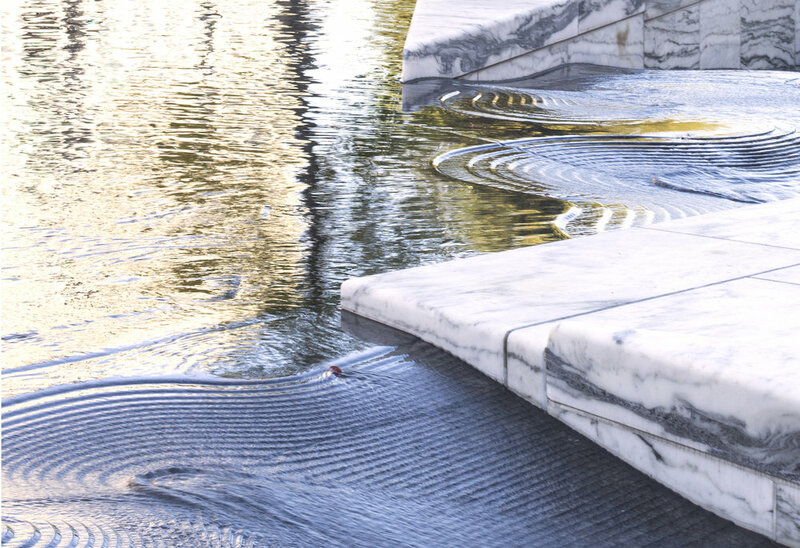 A 10-acre site in the heart of Washington, DC and one of the largest downtown projects in the nation, is an urban center mixing commercial, retail, and residential uses. The landscape and streetscape design features a diverse network of new public open spaces, including pedestrian alleys, neighborhood streets, plazas, and a neighborhood park. At the upper levels, the new buildings incorporate multiple landscaped terraces and green roofs. The project re-introduces the original street grid of Washington’s L’Enfant plan as a framework for a pedestrian-oriented, vibrant, 18-hour mixed-use neighborhood that connects into the surrounding city fabric and continues the revitalization of this sector of the city. 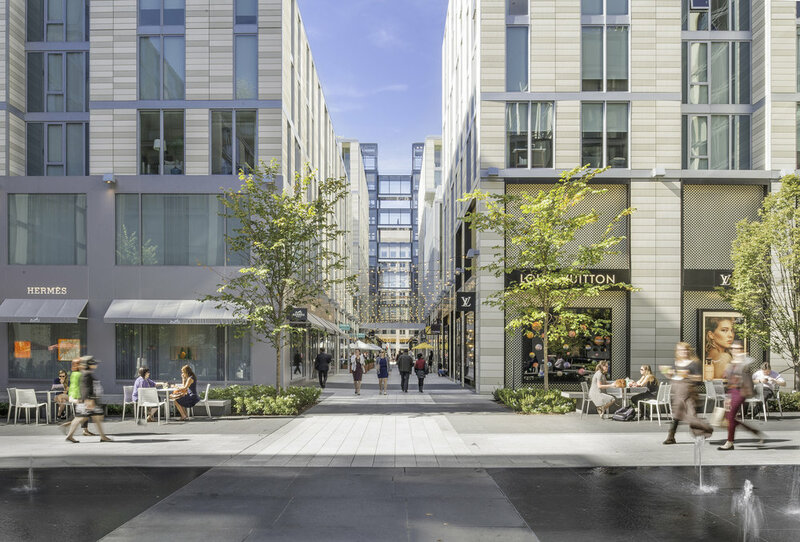 CityCenterDC was a pilot project for LEED for Neighborhood Development, the first national system for neighborhood design, recognizing smart growth, urbanism and green building, and has since been certified LEED ND Gold.